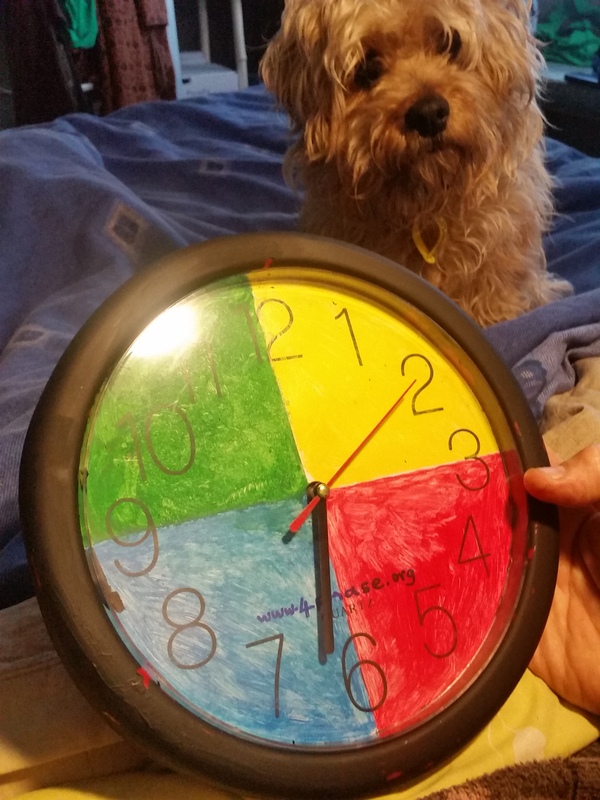 This is the $4 prototype of the 4phase clock, as i contemplated it in bed with doglets this morning. .. The idea is that process is time-related and directional so why not practice that flow with a clock…? Over one hour you get a balance of activities. Later i think an individualised clock will have a different spread – though it is highly directional, process is different for different people in the relative amounts of each phase. This relates to your own ‘process profile’ . A questionnaire – being worked on! – can discover it and quantify the proportions of each phase that suits you. There are profiling methods out there of course, though none i know of that have any kind of sequential process as focus. But Kathy Kolbe –www.kolbe.com – does a ‘conative’ profile which is very cool. 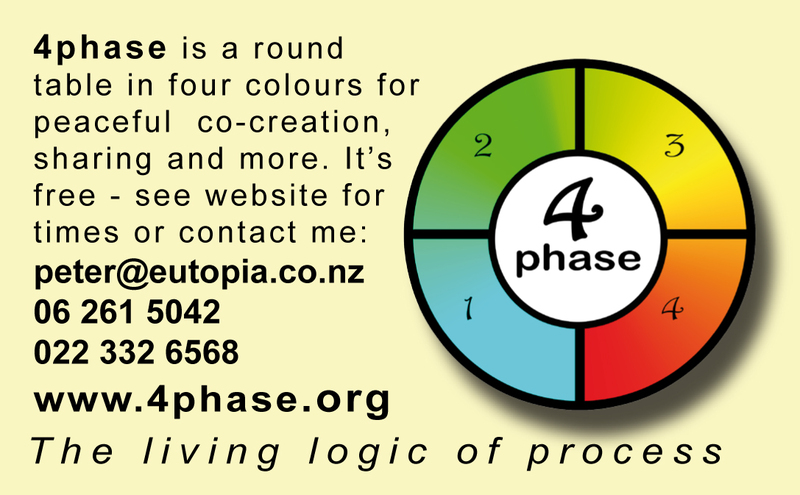 The four colours are similar to the 4 phases if you swap the red and blue…just not process-related to each other. My profile was a 9 for the green phase which in her system is called ‘Quick start’ ie innovation… and only a 2 or was it 3 in the red phase of ‘followthrough’. Hm… I agree with the Kolbe theory that you can’t change your profile much if at all so you need to find a vocation that fits your profile- not try and change your profile to fit your job. BUT in the 4phase theory once in a vocation that fits your profile, there can be a more even spread of phases WITHIN your overall mostly green or yellow or blue or red profile. Process is fractal (to be technical). So an avant garde artist living mostly in the green phase will normally still do lots of red phase work- following through the initial sketch to a finished work. 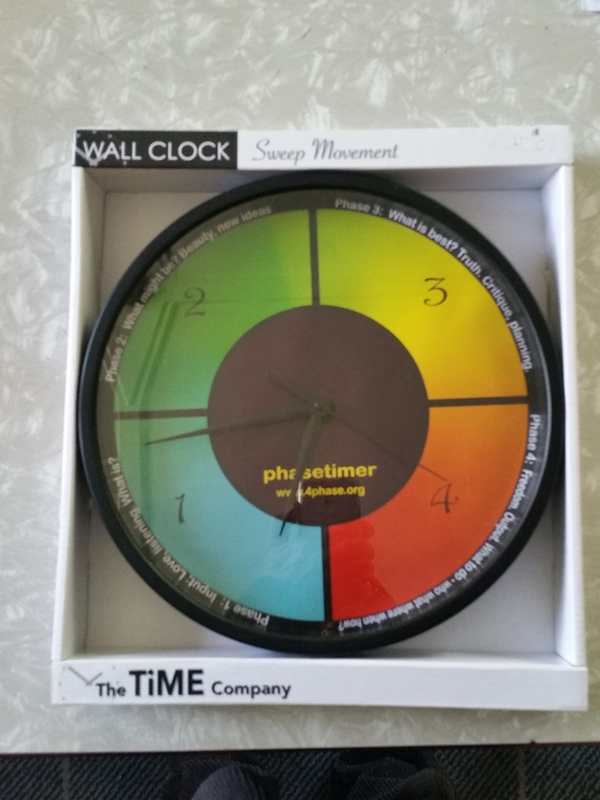 So his or her green process clock (phase clock?) 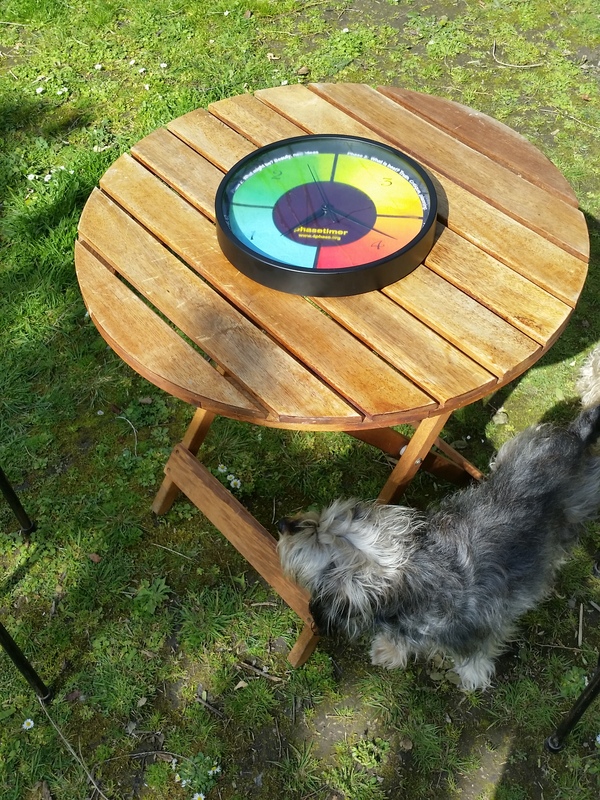 could still be evenly spread between the four colours… to an outsider of course everything she did would look green-phase.